Automation is quickly becoming an even bigger part of our lives, but did you know that lots of job sites and companies are now using automated screening software for their initial stages of checks for job applications in Australia? In this post, we share some tips and tricks to help you make sure that your resume stands the best chance of passing these checks and making through the screening process. If you think it’s only the large corporates who are using automated CV screening, then you’re wrong. This type of software is far more affordable and accessible than ever before, as such, more and more companies are using it to help them sift through the hundreds of people who want to apply to work in Australia. It has been mainstream now for around 7 years, but adoption has increased dramatically in the past few years. Have you ever wondered why more companies now ask you to fill in forms on their website as opposed to simply uploading your resume? This could be why. If you are on your fifth form of the day and you are starting to feel a little tired, you must make sure that ALL of the skills which are listed as requirements in the job are listed in your skillset on your profile. Don’t be tempted to take shortcuts or you could face an auto-rejection by the system for a job that you are perfectly suited for. If you use images, different fonts, graphics, headers, footers, special characters or industry acronyms, this could confuse the system. Bullet points are the only exception to this rule. Avoid using file formats that are not DOC, DOCX, or PDF, unless otherwise stated on the system. If you are uploading a file, then make sure you include your full name as part of the file name too. If you are thinking about applying for a job and the closing date is still a little while off, do not delay the process and apply as soon as you can. If you wait for the closing date, your resume will be at the back of the queue. The sooner your resume is in front of a hiring manager, the better. Ok, it is not always requested that you have a cover letter, but we would always suggest you include one. A great cover letter is written in such a way that the person who is reviewing your job application can quickly and easily see that you are a good candidate and that you have the right skills and experience for the role. It can help you stand out and place your name at the top of the pile rather than somewhere in the middle. Does it really matter? Yes. Yes. Yes. If you cannot take the time, care, and attention to get the little things right in your job application, what kind of impression does this give a prospective employer? If it isn’t your forte, hire a professional proofreader to give your application the once-over. Errors in spelling and grammar suggest the application is not important and that it was rushed. Both of these are not the kind of comments that most candidates would like to be associated with. Listing yourself as having 50+ different skills might seem like a good idea, you’re covering all bases, right? Wrong. Hiring managers don’t have the time to carefully check if you have the right skills for the job from a huge list of skills. Adapt your resume for the job you are applying for and make it easy for the recruiter to see that you have the right skills for the job. The more time you spend doing this, the easier it will be for the hiring manager to approve your job application. Lots of candidates worry about not having enough information on their resume, and because of this, they write too much. Details are fine but try to keep in concise. Once again, tailor your resume to the specific job you are applying for and make it easy for them to see you have the right experience for the role. The ideal length of a resume should be no more than 2-3 standard A4 pages, with either a 10-12 font size throughout, with the exception of titles. Make sure you include some personal information, such as your hobbies and/or achievements as this gives them a little glimpse into who you are as a person. 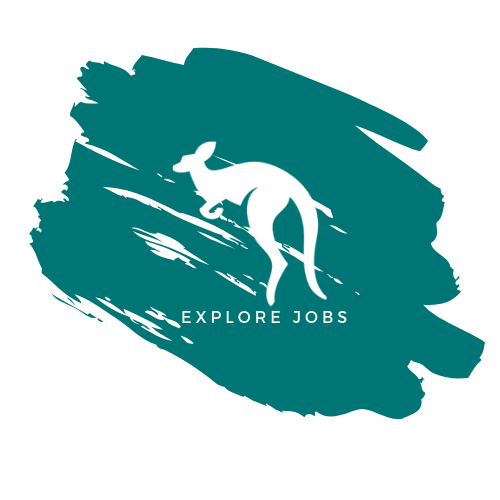 If you follow these simple yet effective guidelines, this will help your resume to sail through the initial process and hopefully help get you one step closer to landing your dream job in Australia.